We've been learning about butterflies and even had the opportunity to keep some caterpillars and watch them change into chrysalises and emerge. 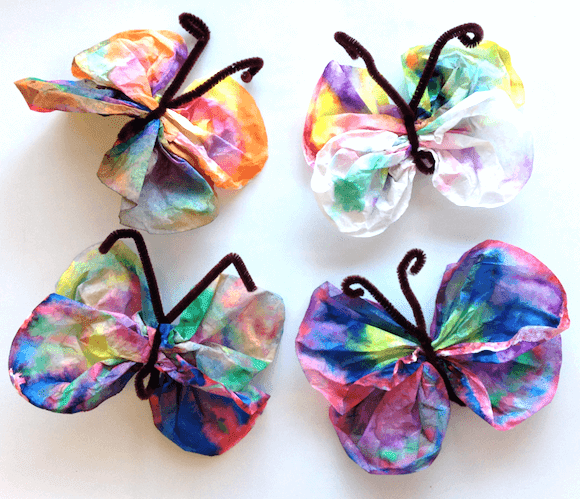 After we released them we decided to make our own tie-dyed butterflies from coffee filters. If you haven't done this before it's super simple. You need white, round filters and you get the kids to colour them with water based felts. They can just scribble or draw a pretty design. It doesn't really matter. Once you have lots of colour on them you spray them with water. Once the filters were wet they needed to dry. Now this was very exciting because it happened to be a windy day and they were flying everywhere. Haha. 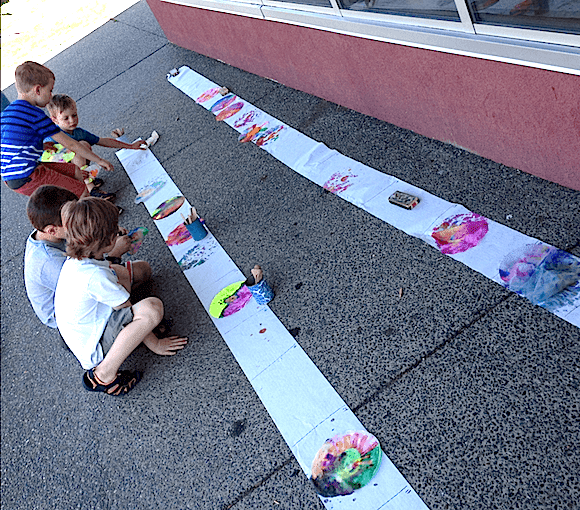 I realized afterwards that we didn't really need to lay them out to dry, because they drip-dried pretty quickly as the kids were holding them. Everyone made two each. The next step was to scrunch them up and tie pipe cleaners around them. This was pretty tricky for my ones so I had to do it for most of them. 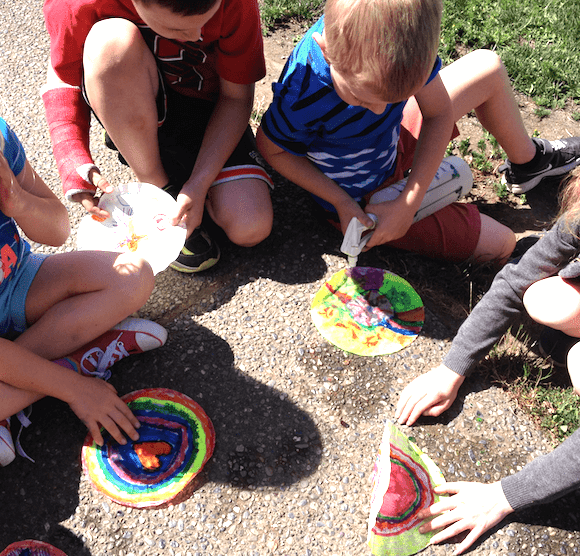 We learned about butterflies last year, too, and I have some more great pics and activities. I used to post on BL Designs and offer clipart freebies, but now I'm doing that on Grade ONEderful instead. 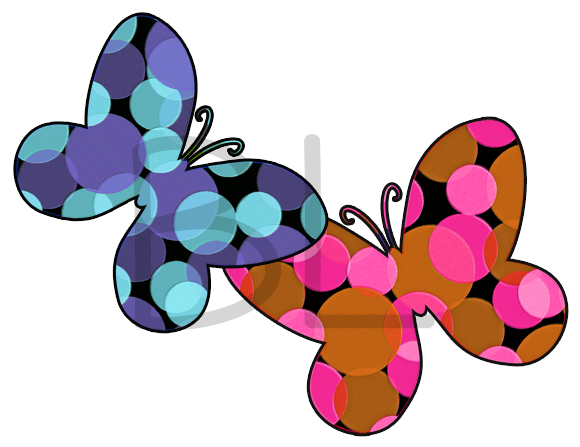 If you'd like these butterflies you'll need to join my newsletter in order to get access to the freebies. These guys are about 6 inches wide. I made them on Illustrator and then added the dots and pastel effect in Photoshop. The edges look a little pixelated here but they'll be sharp and crisp when you grab them. Before you go don't forget the GIVEAWAY I'm having with Ellen at Create in the Chaos. We're giving away clipart, a printable paper craft pack and a $10 Amazon card. You can find it HERE. It's on until next Friday. Good luck! They're beautiful, especially in the tree! OH! 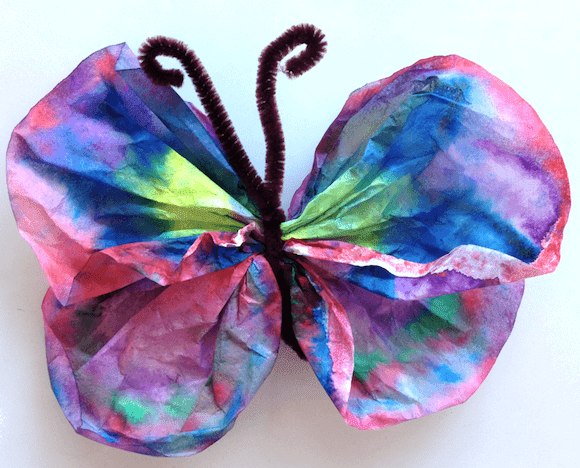 I am SO making dragonflies like this - although I need you to help me brainstorm the bodies!! They are so beautiful! I think you could do it the same way ... just leave a long section of pipe cleaner at one end and twist it around. Or maybe extra long clothes pins would work? SUPER pretty! 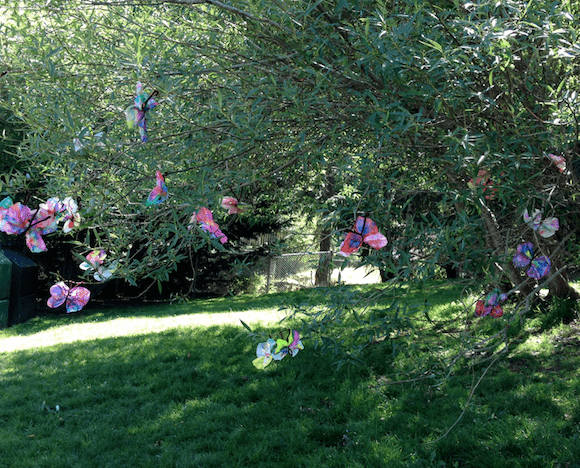 I especially love them hanging from the branches in that tree; what a fantastic touch! Happy summertime.